Did you hear the news? Home Depot sponsored us and let us loose in their store! The challenge was to decorate a space in our home using this wreath. You can read the full article on their website HERE and read about us and the other bloggers in the challenge on their blog HERE. This is what we made - all centered around this lovely wreath! 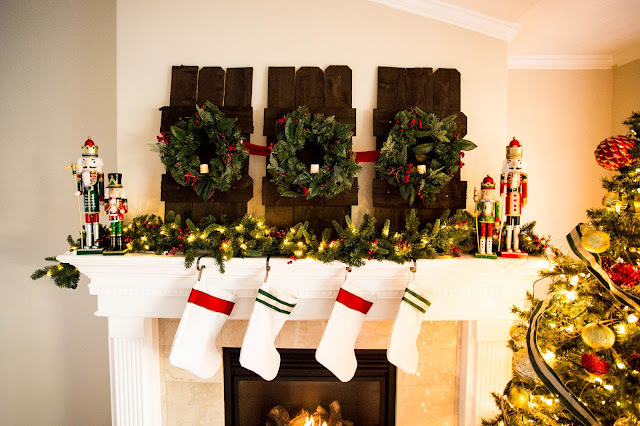 We even vlogged about our whole experience creating this Christmas mantle and in the video we teach you exactly how to make these beautiful shutters. I mean, we even got out the saw to cut picket fence. It's a must watch! The shutters add dimension and character. Here is a link to the stain we chose, and it couldn't have been more perfect against the green and red. These DIY shutters we so easy to make and quite inexpensive. We used drop clothes to make stocking and brown paper and twine to wrap the presents. 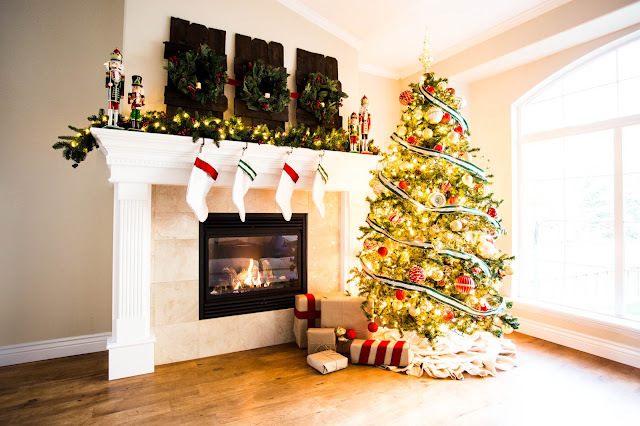 We sewed a beautiful Farmhouse Burlap & Lace Tree Skirt, and we created a step by step video tutorial here. 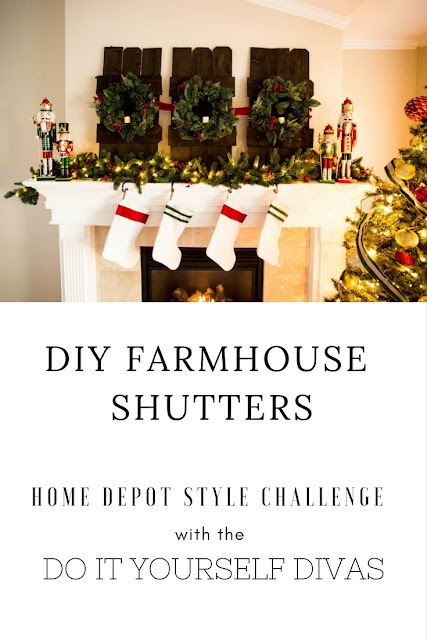 Check out our Vlog below to see all the fun we had shopping at Home Depot, building shutters, and decorating this space. We truly had so much fun working with Home Depot to make this room just perfect for Christmas. Hope you can find inspiration from Home Depot like we did this Holiday Season! 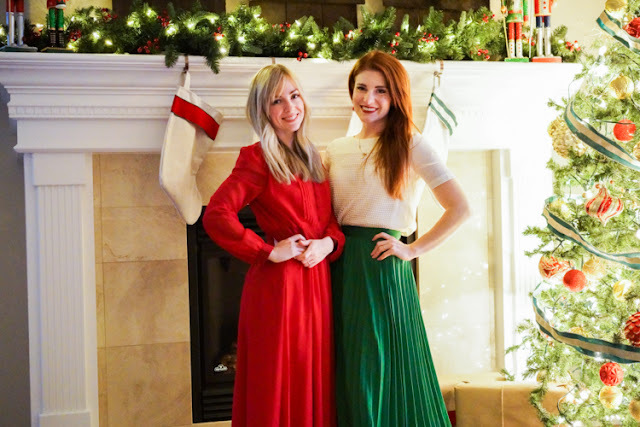 Merry Christmas from us to you!